The research highlights the top fifteen performers in mobile app development in the UK. 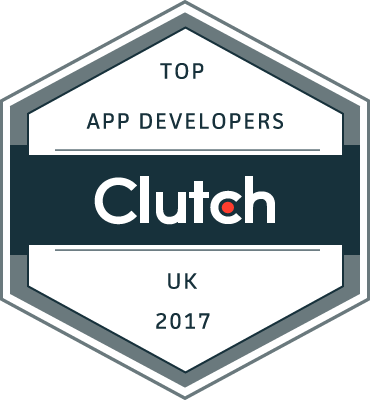 WASHINGTON, May 18, 2017 - Today, Clutch published the results of their annual research highlighting the top UK mobile app development companies. The research evaluates each company’s depth of focus in their area of expertise, as well as the company’s proven ability to deliver results for their clients. Dozens of UK app development companies were evaluated on their industry experience, market presence, and ability to deliver results to their clients. Clutch analysts examine companies based on a variety of quantitative and qualitative factors and conduct feedback interviews with current and past clients. These in-depth reviews and evaluation processes are designed to provide users with a comprehensive guide to each company’s strengths and weaknesses. Clutch’s research on leading mobile app development companies remains ongoing, and firms with dedicated and proven success in this area are encouraged to apply to be included in Clutch’s research. Upcoming publications will highlight leading firms in Los Angeles, Boston, and Chicago.